Arcade with view to the Garden. Old building from 1901. 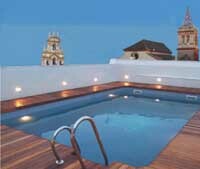 All rooms with view to the interior Andalusian Garden. Privileged location in Seville`s historical quarter, near the Andalusian Parliament, close to the commercial centre and less than 5 kms. far from the main golf courses in the city. 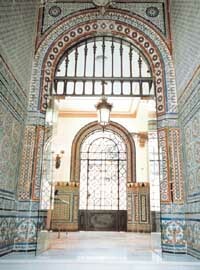 Rehabililtation of a typical building from 1901,restored as a Hotel in 1992 and completely renovated in 2000.Designed by architect D.Josè Espiau,was listed as one of the hundred best building in Sevilla. 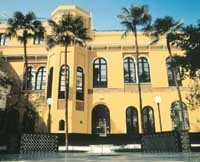 The Hotel comprises an Andalusian style garden with fountains,palm trees,a century old cypress and many mosaics from the beginning 20th century.